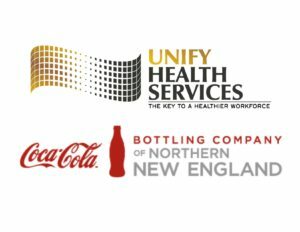 Jacksonville, FL – Unify Health Services, LLC, a nationally recognized workforce solutions driven network, has partnered with Coca-Cola Northern New England (CCNNE) to create a customized company-wide stretch program for CCNNE employees. The project purpose spearheaded by Tom Crockett, Risk Control Manager is to implement a cross-functional tool to enhance employees’ wellness through stretch and education. This project is a 3-Tier initiative combined with a physical demands analysis approach to meet the strategic safety needs of CCNNE. The first tier begins with creating a stretch program that is customized to the jobs and tasks outlined within CCNNE. CCNNE values their multi-generational workforce and understands that a cookie cutter program approach is not enough for their valued employees. 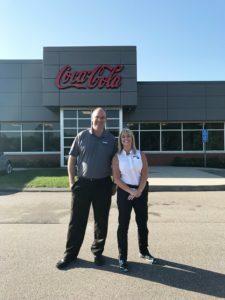 The program kicked off on May 3, 2018, and began with introductions by Tom Crockett, Risk Control Manager and Steve Perrelli, Vice President of Sales Center Operations. Kelly Ingram Mitchell, Physical Therapist and President of Unify Health Services, created and introduced the customized stretch program to CCNNE leadership team representing twenty-nine CCNNE locations at the Londonderry Sales and Service Center in Londonderry, New Hampshire.